-The young Operalia winning tenor will be Belmonte in The Abduction from the Seraglio. Joel Prieto has so far dedicated a great part of his career to Mozart’s music. From the time that he won first prize in the Operalia World Opera Competition in 2008 the tenor, who was born in Madrid, raised in Puerto Rico and trained in New York, has found Mozart’s oeuvre to be one of his greatest allies. 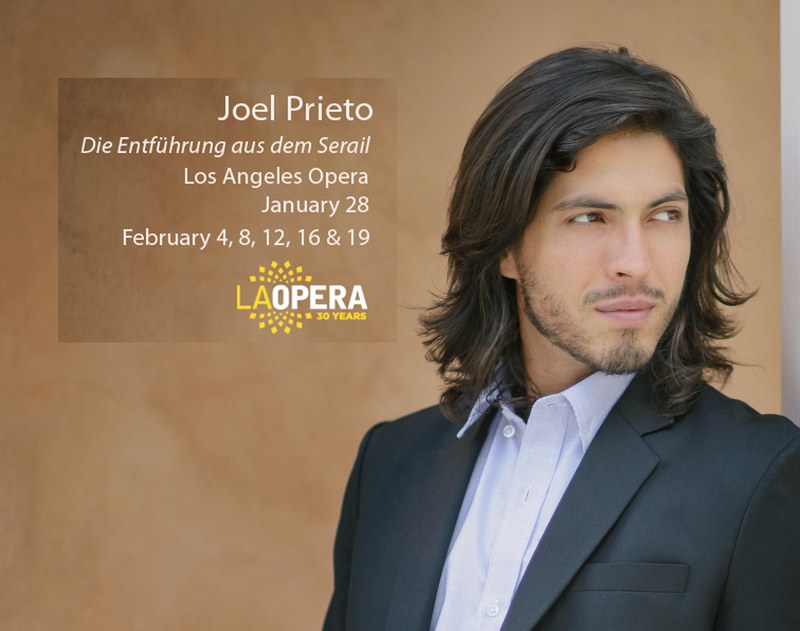 At the end of January, he will make his debut at LA Opera (USA) for the first time in the role of another of Mozart’s characters, Belmonte, the male lead in The Abduction from the Seraglio. But it is not all Mozart in the young singer’s diary. As well as having sung the Berlioz opera Béatrice et Bénédicte (Toulouse) in September and October, in December he dedicated himself to Beethoven by travelling to Tokyo to sing the Ninth Symphony alongside the NHK Symphony Orchestra and the Tokyo Opera Singers Choir. In Los Angeles he will give six performances of (28th January and 4th, 8th, 12th, 16th and 19th February) in a James Robinson production, conducted by the musical director of the LA Opera, James Conlon.